Our classic lipstick. The rich and creamy formula offers medium coverage, gliding on smoothly for full, plump lips. Match your mood and look with the inspiring palette of highly pigmented colors. 0.12 oz. How to use: Wear it alone, after lip primer for extra punch and staying power, or top it with a gloss to add shine. 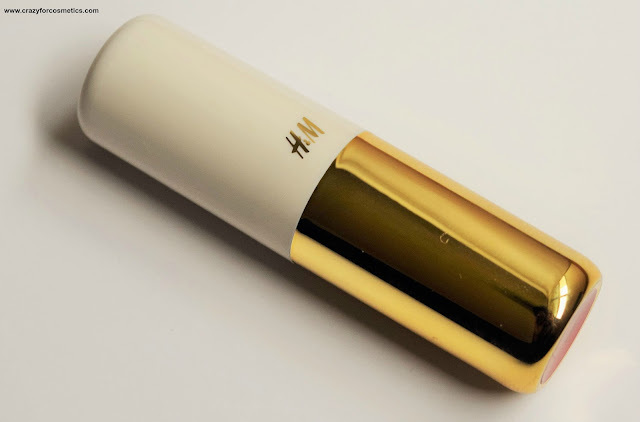 The packaging of the product looks pretty classy in a white and gold outer casing and the lipstick is so compactly designed. 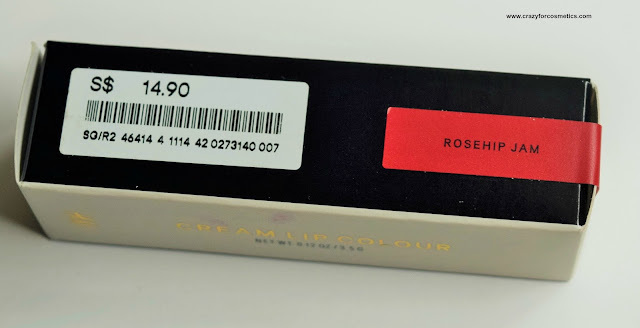 The shade name is indicated at the bottom and the packaging is really attractive because it looks unique from all my other lipsticks. 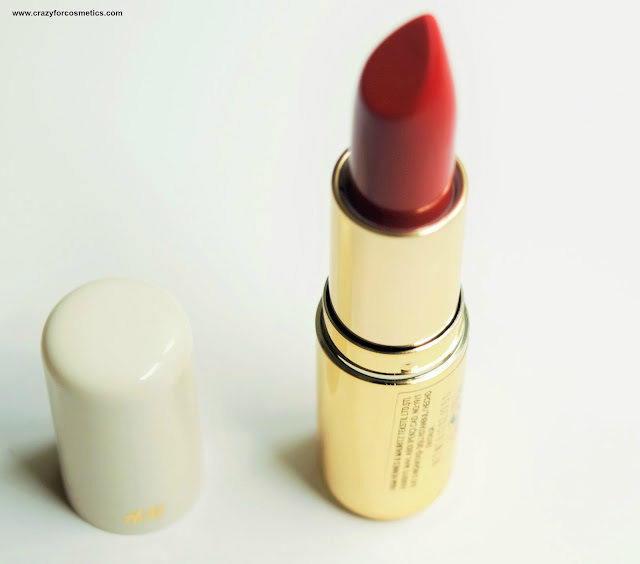 The shade Rosehip Jam is an orangish red which suits Indian skin tone really well.I have a somewhat similar lipstick from Inglot which is more orangish but this one is more reddish. 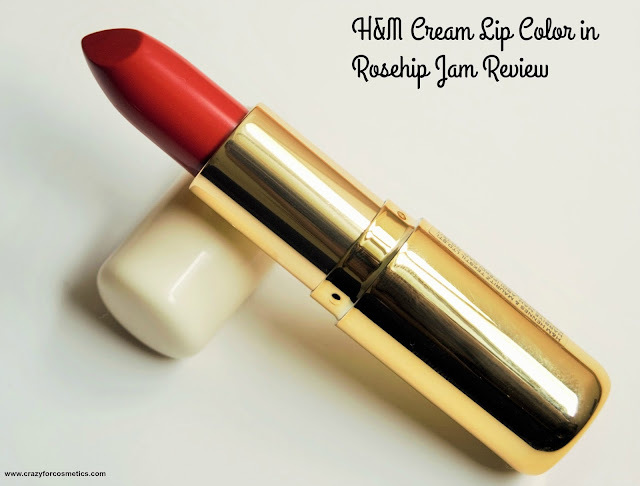 The texture is extremely creamy and the application takes just a jiffy. 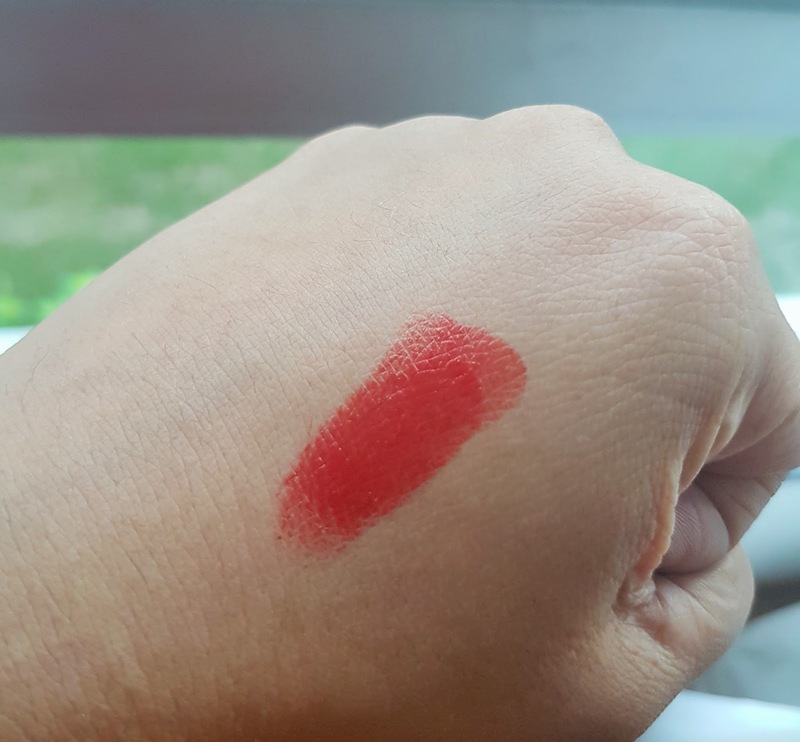 Each swatch delivers a good pigmentation and about 2 coats will give full coverage even if you have pigmented lips.The lipstick is so creamy that it transfers easily onto your hands or glasses and it can be so annoying. The staying power is pretty less for only about 2 hours after which it starts disappearing and it remains only in the fine lines.I am quite disappointed and have never used such a badly transferring creamy lipstick. I am now so comfortable with matte lipsticks that I might not even purchase a creamy one from now on . There seems to be a need to invest in a lip primer to use the H&M Cream lip color which means twice the money. 3 : The shade Rosehip Jam suits Indian skin tone. 1 : Transfers easily and does not stay for a long time. 2 : Enters into fine lines.